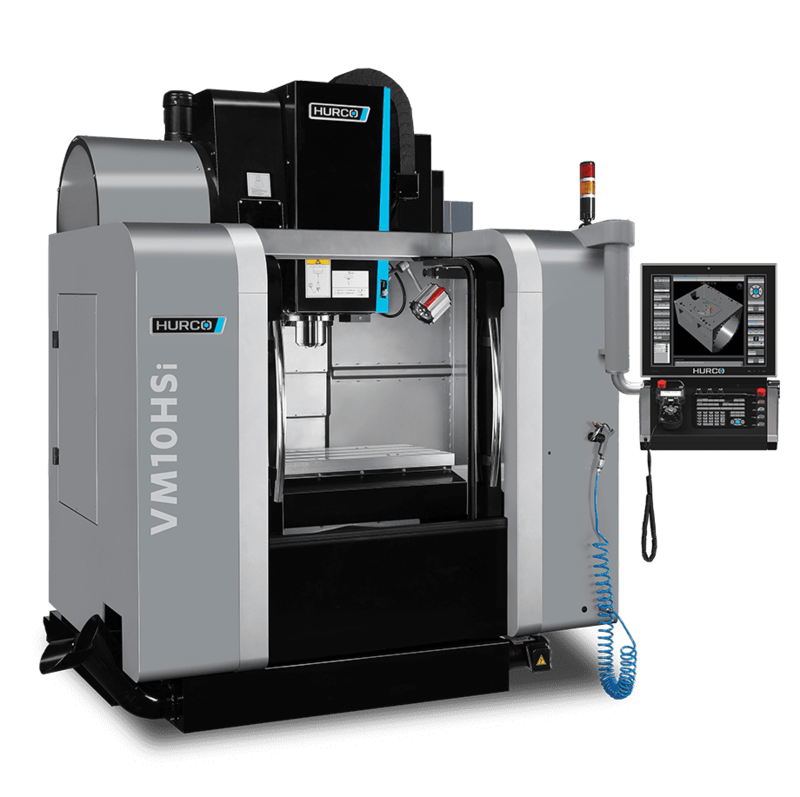 The VM series of 3-axis machining centres features a small footprint with a large work cube. No other mill packs as much productivity into such an efficiently designed package. You won’t find a better machining centre for the investment. Single screen control includes all the power of high-end machining centres. From design features to premium components, the VM is the best value around. 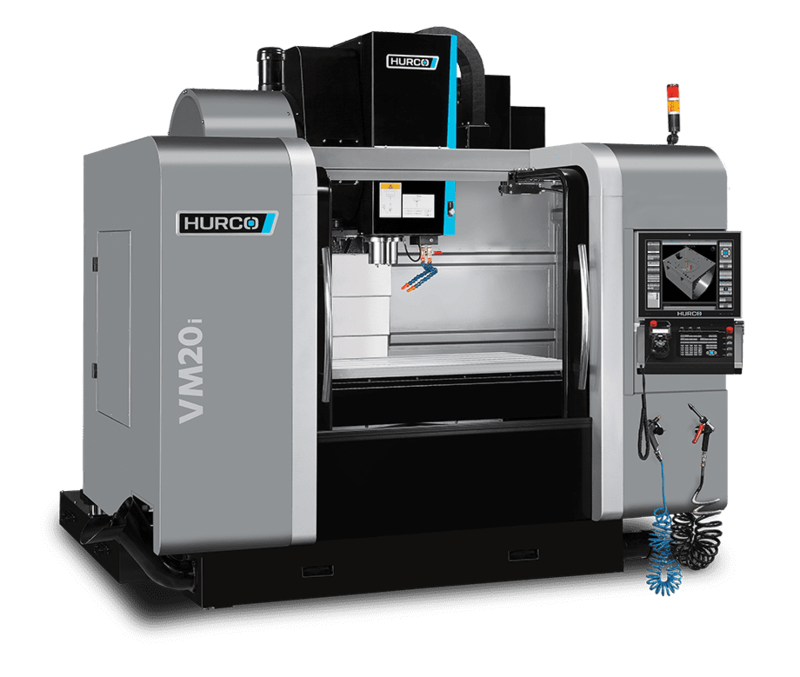 The Hurco VM CNC vertical milling machines offer powerful machining with a compact footprint, and absolutely the best value on the market. These CNC machining centres are the perfect combination of size and functionality. Designed to conserve space with the smallest possible footprint, the VM mills are loaded with remarkably big capacity, productivity and user flexibility. Even though the VM Series machining centres have a single screen control versus the dual-screen found on the higher performance machining centres, you still get the benefit of all the powerful features that maximise productivity. Some favorites are listed below. Absolute Tool Length allows tool setup to be independent from the part and machine, which means the tool information only needs to be captured once allowing the tool to be used on other machining centres. Facilitates the use of an offline tool presetter. We say it all the time: we have the best customers in the world! Their endorsement is our greatest advertisement. 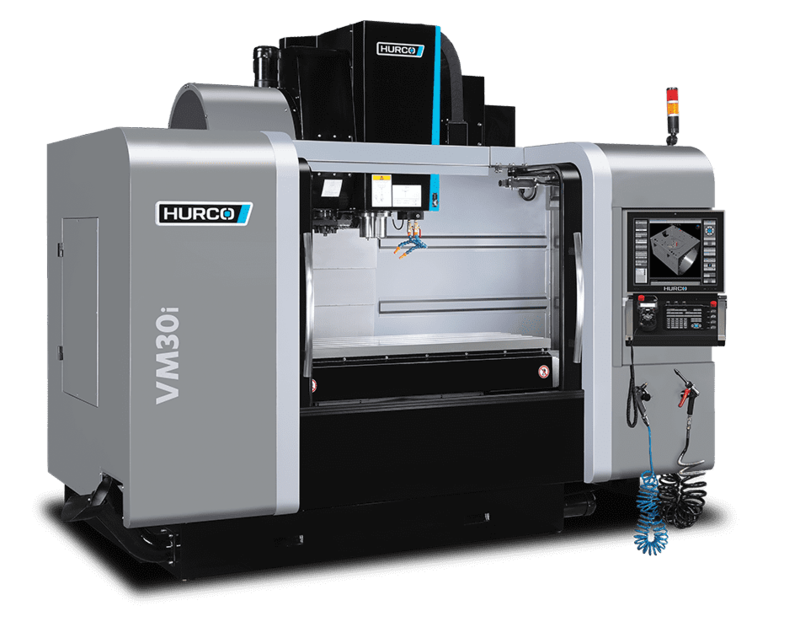 The customers who invest in our VM Series of machining centers range from startup shops to large companies who find the VM vertical machining centers have the functionality they need for prototyping or tool room applications. "We have been using Hurco for over 15 years. We found the VM [machining center] to be perfect for a number of repetitive jobs. We can set up five vises and/or fixtures on the long 50-inch bed, and we’re ready to do fast response turnarounds for our critical customers." We use the same rigorous design and manufacturing processes for the VM general purpose CNC machining centres as we do on our high end machines. This solidly built, one-piece machine base uses premium components, such as heavy duty linear rails in all three axes and oversized, double nut, pre-tensioned ball screws. Additionally, the linear rails are larger and wedge locked, which reduces vibration. All of the CNC mills have enough horsepower to get the job done and the cartridge spindle design​ simplifies maintenance. The efficient design of the VM machining centres results in a machine with a small footprint and large work cube. Additionally, the VM mills are equipped with a 20-tool swing-arm ATC.